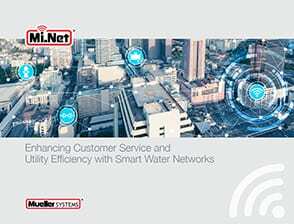 Intelligence meets infrastructure with the Mi.Net® system, Mueller Systems’ advanced, comprehensive data gathering solution for water utilities — now with migratable Mi.Net M system features. The Mi.Net system links meters, distribution sensors and control devices in an efficient wireless network for real-time access. This smart, migratable solution provides the ultimate in flexibility and scalability, allowing you to cost-effectively add advanced capabilities to fixed networks or drive-by solutions, without replacing the entire system. The Mi.Net system uses Mi.Node transceivers on metering devices to gather and pass data through radio frequency technology to area Mi.Hub collectors. These gateways collect and upload the data to either the utility’s server or our hosted server with Mi.Host MDM software via cellular or other data backhaul options. the ability to best manage your water resources through on-going access to custom data and information. As technology and your needs evolve, Mueller Systems continues to develop valuable, visionary solutions that offer easier implementation, better functionality and a faster return on your investment. Remotely detect and monitor water distribution main leaks. 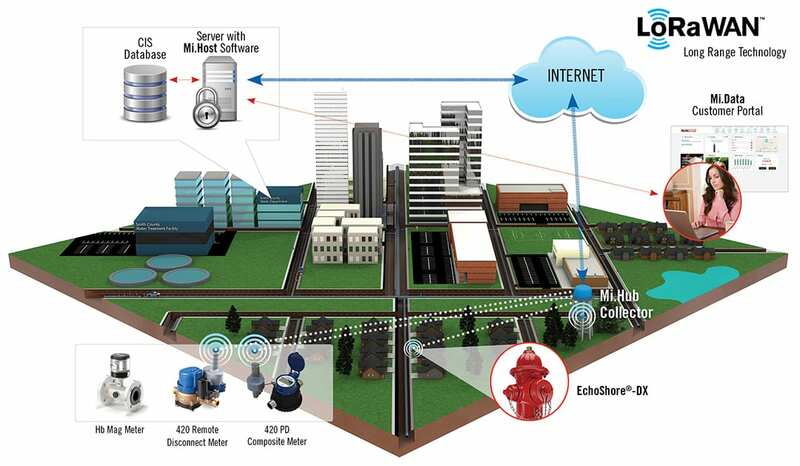 Transforming water systems into open communications systems. Giving consumers an online view of their water usage. Maximize your investment with 24/7 monitoring. © 2018 MUELLER SYSTEMS LLC. ALL RIGHTS RESERVED.